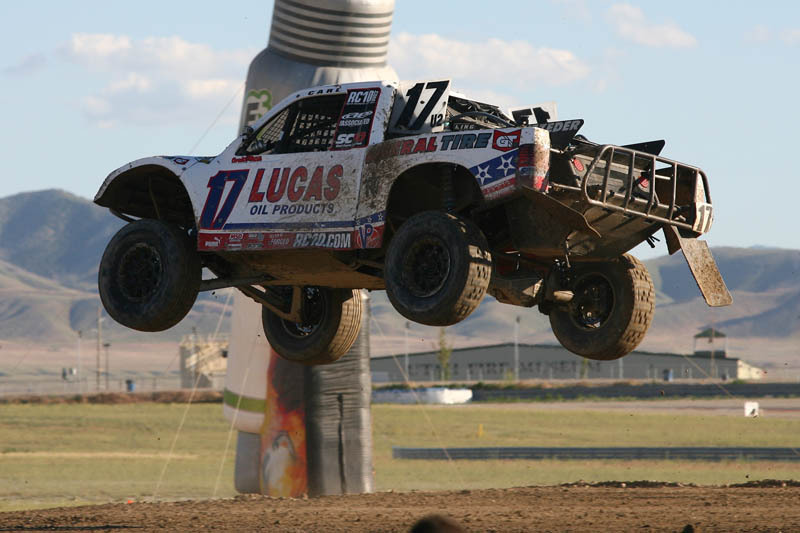 Rounds seven and eight of the Lucas Oil Off Road Racing Series at the spectacular Miller Motorsports Park played host to a wide spectrum of mental, emotional and physical moments for Team Renezeder this past weekend (June 26-27). From a stress-free set-up day on Thursday to working 50 out of 60 hours from Friday morning to Sunday night, from the excitement of qualifying number one in both trucks Saturday morning to the terror of watching the Pro-2 go end over end in a brutal wreck that afternoon, the moments of calm and sanity were few and far between. The team made the 700-mile trip to Tooele, Utah (just southwest of Salt Lake City) without any problems and was parked, set up and teched by two o’clock Thursday afternoon. When Carl Renezeder put both trucks on the pole Friday morning, it looked like the bad luck that had plagued the team over the past few months had finally made its way out of the team’s pit. In fact, it wasn’t until the white flag lap of the Pro-4 race that the bad luck gremlin proved to still be keeping residence in their camp. Renezeder was battling back and forth for the lead with the division’s points leader, Rick Huseman, and just as they took the white flag for the final lap the motor kicked a rod out through the pan, ending Renezeder’s day in an impressive ball of flames. The crew kept their wits about them; the spare motor in the hauler would have to go in, but it wasn’t an overwhelming task ahead of them. Everyone had high hopes for the Pro-2 race later that evening to redeem the day. It was short-lived. The truck was working flawlessly, Renezeder was driving a smart, methodical race, and then one moment changed it all. The truck launched off a tabletop jump on the backstretch and came down nose first, snapping the truck end over end. Crew chief, Mike Seat, immediately asked Renezeder if he was all right, and the crew all sighed in relief when he answered right away. The truck was another story. And the further the team dug into the truck the more they found wrong. After a couple of hours of work it became apparent that the truck needed more hours of work than the team had until they’d be required to stage for qualifying the next day. They devised a plan to work until 2:00 a.m. and then be back at the track at 7:00 a.m. to finish what needed to be done for the Pro-4 qualifying session at noon and the races in the evening. As promised, the trucks were ready, and Renezeder was too, despite some overall soreness from the wreck. Qualifying was a mellow event, with Renezeder securing the fifth position and a front-row start with the invert. The only things left to on the agenda for the weekend were the two races and the process of packing up. By lap three of the Pro-4 race, Renezeder radioed to the crew that front-wheel-drive was gone, so he settled in and salvaged what he could, bringing home a sixth place finish – a great result considering the circumstances. 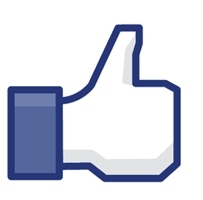 What seemed like an endless week of work was suddenly over in what felt like just a snap of the fingers. Throughout the weekend there were moments that deserved exclamation points, and some that required question marks, but on Sunday night, the exhausted, elated, reflective, satisfied crew were simply happy that it was all done.